We often hear that epiphytes plants live on the air and it really seems like this, because they don’t nearly need soil to develop. They grow on trunks taking advantage of his height in search of the source of energy much wanted in tropical forests: the sun. In this article we describe epiphytes adaptations and the most common epiphytic groups of these amazing plants. The epiphytes live on other plants without parasitize them or damaging any of its organs or functions. Epiphytes take advantage of other plants structures as physical support to grow into the shaded forest canopy, using the trunks and branches of older trees to reach more height and catch the sunlight. Epiphytes never touch the ground; they are adapted to live on the air! Epiphytic plants including Cactaceae, Bromeliaceae and ferns growink on a trunk. Source: Barres Fotonatura. • The ability to capture water and nutrients from the air, the rain and the small amount of soil or organic debris that may remain in the trees trunk where they root. • Their roots are much more adapted to anchor to the trunks that to absorve water and nutrients. • Frequently, they develop structures to accumulate moisture. Although epiphyte plants depend on its host to obtain their nutrients, sometimes they grow so much that overload their host and end up killing their support. This is the case of some Ficus (Moraceae), called “strangler fig” that develop aerial roots around other trees without letting them grow. Hollow structure left by a stranges fig after killing its hoste. Source: Wikipedia. Thanks to the epiphytes contribution we can say that tropical rain forest is organized in a vertical gradient along the trees trunks, where we find organism diversity organized according to their distance to the ground. Epiphytes are largely responsible for the extremely rich biodiversity that makes tropical rainforests the most complex ecosystems on Earth. Besides providing different layers of vegetation along height, epiphytes provide shelter and nutrients to different insects and amphibians; who use water stored in the epiphytes leaves as a shelter or nest in the refuge generated in the middle of the trunk. Water accumulated on a Bromeliad. Source: Otávio Nogueira, Creative Commons. Epiphytes are found mostly in tropical rainforests, where dozens epiphytes have recorded on a single tree. However, in temperate climates or even deserts we can also found drought tolerant epiphytic species. Currently, approximately 25,000 species are epiphytes. Most common and known epiphytes are Bromeliaceae and Orchidaceae families and ferns. Epiphytism has appeared several times throughout evolution and we found examples in other tropical spermatophytes (plants with seed and trunk) like Ericaceae, Gesneriaceae, Melastomataceae, Moraceae and Piperaceae and also in seedless plants (lichens, mosses and liver) of temperate climates. Orchids have the highest number of epiphytic in the world, with 20 tropical epiphytic genera. The genus with much epiphytes species number are Bulbophyllum (1800) and Dendrobium (1200). The genus of epiphytic orchids Phalaenopsis (60 species) is cultivated worldwide because of its beauty. In fact, many plants used in interior gardening are epiphytes because they have few nutrients and water requirements. Epidendrum sp. orchids. Source: Barres Fotonatura. Among orchids, we wanted to highlight a species known for a different reason: the vanilla (Vanilla planifolia), native to Mexico and Central America, where it was consumed with cocoa. It was imported to Reunion island and Madagascar (currently first world producers) by the Spaniards when they discovered their amazing flavor. The vanilla crops imitate their naturally grow on trees, and vanilla plants are not grown on ground, but on logs. The part of the vanilla plant that is consumed is the still immature fruit, after a curing process. Orchids have one of the most complex pollination systems throughout the plant world, with several cases of monospecific coevolution systems linked to insects and hummingbirds. Vanilla is another example, as it is only pollinated by Mexican native bees and hummingbirds, so pollination does not occur naturally in the cultivation areas and it must be done by hand. Normally, women and children still practice this handmade technique pollinating each vanilla flower to get its precious fruit. In fact, vanilla is the world’s most expensive crop, by weight. Bromeliaceae includes more than 3,000 neotropical species, most of them epiphytic. The most species rich genera are Tillandsia (450), Pitcairnia (250), Vriesia (200), Aechmea (150) and Puya (150). The leaves of bromeliads grow in rosette facilitating the accumulation of water. The cultivation of bromeliads has been prohibited in Brazil (where we found 43% of Bromeliaceae native species) by ignorance, because it was thought that this water favored the reproduction of Aedes aegypti, mosquito transmitter of Zika, dengue and chikungunya virus. Actually, bromeliads have secondary compounds that prevent the proliferation of this mosquito eggs and larvae while the water inside the leaves creates a micro-habitat that accumulates nutrients that feed other insects, amphibians and native birds that can help fighting it. Bromeliaceae flowers have bright colors and are accompanied by showy bracts also attracting the attention of pollinators, especially hummingbirds and bats. Many bromeliads are used as ornamental plants, especially Tillandsia and Guzmania. Tillandsia sp. Source: Barres Fotonatura. One of the most incredible epiphytic ferns is the staghorn fern (Platycerium bifurcatum), widely used as an ornamental plant. The staghorn fern is native to Australia but is found in all tropical areas used for gardening. This fern develops two leaf shapes: the first kind is kidney-shaped and does not produce spores; its function is to anchor to the trunk. These leaves eventually acquire a brown coloration and form a base from which the second kind of leaves grow; which are fertile and therefore produce spores. The fertile leaves are long and bifurcated and can grow up to 90 cm long. The spores of this fern are produced at the leaves apex that gain a velvet appearance. The two kinds of leaves in Platycerium bifurcatum. Source: Barres Fotonatura. At temperate forests, the most common epiphytes are lichens. Among lichens, we want to highlight Usnea or old’s men beard. It is a cosmopolitan genus growing on conifers and deciduous trees. This grayish fruticose lichen grow as curtain shape hanging from trees. Curiously, there is a species of epiphytic bromeliads that reminds Usnea because they share this particular growth form. Its called Spanish moss (Tillandsia usneoides) but is neither a moss or lichen, but a bromeliad with very small leaves growing chained to the ground. Nor is Spanish but lives in America. Usnea lichen growing as a curtain on temperate climates (left) and Tillandsia usneoides of tropical climates (right): Source: Barres Fotonatura and Wikipedia.com. The epiphytes are still little known because climbing techniques in tropical rainforest have only been developed recently so we still known a little about compared with carnivorous or parasitic plants. Many are still to discover! Benzing, D.H. 1990. Vascular Epiphytes: General Biology and Related Biota. Cambridge: Cambridge University Press. Smith N., Mori S. A., Henderson, A., Stevenson D. W. & Heald, S. V. 2004. Flowering Plants of the Neotropics. New Jersey, USA: The New York Botanical Garden, Princeton university press. Cocos nucifera L., the coconut tree, is one of the most emblematic palm trees from tropical countries: photographed by tourists on bucolic beaches; basis element for the gastronomy and culture in many countries and a source of inspiration to many artists, is still a mystery for scientists. Where is coconut from originally? The answer to this question is now a little more clear thanks to a phylogeographic study, discipline that integrates population genetics with biogeography. In this post, we reveal this and other questions about this iconic palm. Coconut tree belongs to Arecaceae, the family of monocots with tree aspect, known as palm trees. Yes, you read right! All palm trees are closer to grasses (cereals) than to deciduous trees. In fact, its trunk is not a real one because it has no tissues allowing them to growth in diameter and therefore not branches. If you look closely to any palm tree trunk, you’ll see that it always has the same thickness, it only grows vertically. It’s the stipe and it is formed by the superposition of the leaves base and the scarfs we see on the trunk are the marks left by the falling leaves petioles. If you ever see a cut stipe, you’ll see that it doesn’t have the typical structure in growth rings but fiber mass. In fact, this structure is optimal to survive to tropical winds because it is both tough and flexible, providing flexibility necessary not to break while tropical winds and also stand firm. Palm tree stipe (Source: Public Domain Pictures). The function of the stipe is to support the weight of the leaves, flowers and fruits; that grow on top. The Arecaceae leaves are pinnate. The flowers grows in racemous inflorescences and fruits usually are drupe type, such as date or coconut. In the Mediterranean region we only have two species of native palms. Mediterranean dwarf palm (Chamaerops humilis) has its northern limit at the Garraf coast. The Cretan palm (Phoenix theophrastii) is endemic to southern Greece, Turkey and Crete. Mediterranean dwarf palm (Chamaerops humilis) at Catalonian coast (Source: Wikimedia). – Food: Coconut is a highly nutritious fruit, rich in fat (is the most caloric fruit consumed by humans), micronutrients (it is very rich in potassium) and fiber. From dried endosperm (the white “meat” or copra, which is actually the seed) we can also extract milk and coconut oil, widely used for cooking, cosmetics and even as biofuel. The sweet sap of the inflorescence is also consumed as wine after its alcoholic fermentation. Dried coconut to elaborate copra (Source: Peter Davis / AusAID). – Water : green coconut contains drinking water rich in micronutrients. It is consumed in many tropical countries as an isotonic drink. – Construction Material: mesocarp fiber is widely used to make ropes, mats, planting substrate, etc. Endocarp, the layer that covers the meat is used as a container for food and drink, decoration or as a musical instrument. The leaves are also used to produce handicraft (rugs, toys, baskets, etc. ), to cover roofs and as carbon. The wood has traditionally been used for houses construction. – Religious Element: Coconut is part of different spiritual manifestations in Hinduism and some Philippines communities. Coconut is adapted to hydrochory, ie dispersal by water. Coconut is one of the little fruits known to have been adapted to oceanic dispersal. The water contained by the coconut enables its floatation and facilitates its dispersal over long distances. In addition, the fruit is resistant to salinity and does not rot. When it gets the beaches, it can germinate after having sailed 110 days (or 4000 km). However, its pantropical distribution is not only due to its oceanic dispersal but is also linked to its cultivation by humans. Human migration to Southeast Asia would not have been possible without the coconut cultivation and coconut should not have been so widely dispersed if not for its value. It is therefore quite likely that the wide variety of coconut uses has conditioned its migration history. There are several hypotheses about coconut origin. De Candolle, at 1886, proposed that the coconut was American, based on the distribution of all other members of the Cocoseae tribe (200 species distributed in 20 genera from America), except for the African palm oil (Elaeis guineensis, the source of palm oil). Other hypotheses (Beccari, 1963) claim of an Asian origin because morphological variation in the region is greater, popular names and uses are more diverse on this continent and in addition there is an Asian endemic hermit crab (Brigues latro) that can only live in symbiosis with coconut. So from Asia and with human help, coconut palm tree would have migrated eastwards to the Pacific ocean and westwards to the Indian Ocean. Coconut tree distribution (Source: Gunn et al., 2011). Recent studies using DNA as a source of information have made new discoveries about coconut origin. It seems that despite the wide variety of cultivars and human manipulation, coconut palm tree populations have a strong structure into two genetic groups, one in the Indian Ocean (including Indian and African populations), and the other in the Pacific ocean (including Southeast Asian, Caribbean and South American populations). Thus, all current coconut populations come from one of these two groups, demonstrating its Asian origin. For example, Brazilian and Caribbean populations come from the Indian group and the American Pacific coast populations come from Southeast Asia. Coconut tree genetic groups discovered by Gunn et al. (2011). Therefore, it seems that the coconut tree is native to both Pacific and Indian coasts and that coconut cultivation arose independently in these two regions. Beccari, O. 1963. The origin and dispersal of Cocos nucifera. Principes 7: 57–69. de Candolle, A. 1886. Origin of cultivated plants. New York: Hafner. 468 p.
Cook, O.F. 1911. History of the Coconut Palm in America. American Journal of Sciences 31(183): 221-226. Gunn, B.F. 2004. The phylogeny of the Cocoeae (Arecaceae) with emphasis on Cocos nucifera. Annals of the Missouri Botanical Garden 91: 505–522. Gunn, B.F., Baudouin, L. & Olsen, K. M. 2011. Independent Origins of Cultivated Coconut (Cocos nucifera L.) in the Old World Tropics. PLoS ONE 6(6): e21143. Meerow, A.W., Noblick, L., Salas-Leiva, Dayana E., Sanchez, V., Francisco-Ortega, J., Jestrow, B. & Nakamura, K. 2015. Phylogeny and historical biogeography of the cocosoid palms (Arecaceae, Arecoideae, Cocoseae) inferred from sequences of six WRKY gene family loci. Cladistics 31: 1096-0031. Posidonia and other seagrasses are one of the most important marine ecosystems on Earth. Many dare to categorize them as the jungles of the sea, for its high biodiversity. It is what we are going to see in this article, especially focusing on the Posidonia oceanica‘s meadows! The seagrasses are plants that colonized coastal marine environments, being present in all oceans and seas, except the Antarctic. There are about 66 species. All have a similar pattern: a horizontal underground rhizome (a thick buried stalk), from which are born the roots and vertical ramifications from where emerge leaves. Throughout evolution, they have acquired the necessary adaptations to live in an environment with a high concentration of salts. They have the ability to perform underwater pollination by little flowers, in addition to reproduce asexually. As we have already mentioned, we will focus on Posidonia oceanica, an endemic species of the Mediterranean Sea. It has the typical structure mentioned above, but among its peculiarities there are leaves of 0.5 cm wide and one meter long, grouped in bundles of 4-8 leaves. Posidonia oceanica’s meadow (Picture: Manu Sanfélix). In just one square meter can be 10,000 leaves. As a result, the particles that fall to the bottom are trapped and form what is known as “matte”, a very compacted substrate that rises slowly (10-18 cm/century), which acts as a barrier against the waves, favouring the formation of beaches. Do you want to know why we are losing beaches? Did you know that on the island of Formentera (Balearic Islands, Spain) there have been found an individual of Posidonia older than 100,000 years? Posidonia meadows and other seagrasses are ecosystems with high biodiversity. In addition to the organisms living permanently, others reproduce, put the lay or refuge there. There have been described about 1,000 species in them. Despite the high associated biodiversity, only few species are able to feed on the plant. Examples include salema progies (Sarpa salpa), the green turtle (Chelonia mydas), some sea urchins such as Paracentrotus lividus … all with symbiotic bacteria in the digestive tract. There are many algae and animals that live attached to the leaves or rhizomes, called epiphytes. Examples include the hidrozoa Aglaophenia harpago and the bryozoan Lichenopora radiata. But undoubtedly the most characteristic epiphyte animal on Posidonia is Electra posidoniae. This bryozoan form a narrow structure above the plant’s leaves. Hidrozoa Aglaophenia harpago above Posidonia oceanica (Picture: Peter Jonas). Briozoa Lichenopora radiata (Picture: Javier Murcia). Briozoa Electra posidoniae (Picture: Jordi Regàs, CIB). Logically, there are also animals moving on the leaves. These are small animals that feed on epiphytes, such as crustaceans, gastropods (snails and slugs); polychaete, flatworms, nematodes and echinoderms. Examples are the nudibranch Diaphorodoris papillata and the crustacean Idotea hectica. Nudibranch Diaphorodoris papillata (Picture: CIB). Crustacean Idotea hectica (Picture: David Luquet). One of the most characteristic animals of the Posidonia oceanica is the nobel pen shell (Pinna nobilis), the biggest Mediterranean mollusc, which can grow to a meter and lives with part of the body buried in sand. Among the echinoderms, it is considered that the starfish Asterina pancerii is the only strictly linked to the meadow, although sea urchins such as Paracentrotus lividus can become very abundant. Starfish Asterina pancerii (Picture: Jordi Regàs, CIB). Sea urchin Paracentrotus lividus (Picture: Jordi Regàs, CIB). Other animals that roam freely in the meadow are fishes. The painted comber (Serranus scriba) is the most common; but the most unique is Opeatogenys gracilis, green in order to camouflage itself in the leaves. Other that camouflage really good are the fishes from the genus Syngnathus, such as S. typhle and S. acus. Painted comber (Serranus scriba) (Picture: Jordi Regàs, CIB). Opeatogenys gracilis (Picture: Manuel Campillo). Syngnathus typhle (Picture: Sea Horse Project). As we have seen, Posidonia meadows are areas with high biodiversity of animal and plant species. So, it is home to many species at different stages of their life cycle. But its importance goes further. Due to its growth through underground rhizomes, Posidonia retains the sand and, century after century, forms a natural barrier that provides protection for the coast, allowing the formation and gives stability to beaches, dunes and coastal forests. Finally, a lot of organic matter is dispersed by currents and waves to other ecosystems. Triptych: Las praderas de Posidonia en peligro. Parc Natural del Montgrí, les Illes Medes i el Baix Ter. Cover picture: G. Pergent (INPN). Brazil is one of the richest country of the world in terms of biodiversity. The Amazon rainforest, often known as the world’s lungs, is recognized as the world’s most diverse region. Is it really so? Brazil hides many more biomes as richer as the tropical rainforest, but much more unknown and with a high degree of threates that affect its conservation. In this post I will explain the main characteristics of the six Brazil biomes and I will review different crops that have been introduced into the country since historical times affecting the natural balance of its ecosystems, from sugar and coffee to soybeans. In this post I will discuss the different biomes of Brazil. But what is a biome? It is a group of ecosystem with a common history and climate and therefore being characterized by the same animals and plants. Biome concept includes all living beings of a community but in practice biomes are defined by the vegetation general appearance. Is a unit of biological classification used to classify major geographic regions of the world. Thera are ten recognized biomes in the world: polar desert, tundra, taiga, temperate deciduous forest, laurel forest, rainforest, steppe, savannah, desert and Mediterranean. Brazil is recognized as the country with largest biodiversity in the world, followed by China, Indonesia, Mexico and South Africa. Brazil, according to recent scientific publications, is the country with the richest flora in the world, with 46,100 species of plants, fungi and algae described, 43% of them being endemic. This number increases every year since many Brazil biodiversity is still unknown. In fact it is estimated that 20,000 species have not been described yet. Botanists describe about 250 new species of plants every year in Brazil. So if you are taxonomist willing to contribute, there’s people lacking in Brazil! Another amazing fact is that, 57% of the 8900 seed plant species in Brazil are endemic. Nowadays, six different types of biomes are defined in Brazil: Amazon, Atlantic Forest, Cerrado, Caatinga, Pampa and Pantanal. This classification has little changed since the first attempt to classify the Brazilian vegetation in floristic domains elaborated by Martius in 1824, who gave names of Greek nymphs to the five domains detected. He chose the Nayades, nymphs of lakes, rivers and fountains to call the Amazon. For the cerrado, he took the Oreades, nymphs of the mountains, companions of Diana, the hunt Goddess. He named the Atlantic forest under the Dryades, the nymphs protective of oaks and trees in general. He considered pampas and araucarias forests under the Napeias dominion, nymphs of valleys and meadows and finally Hamadryades, nymphs protectors each one of a particular tree, were used to designate the caatinga. Brazil is one of the few countries in the world including two hotspots for the conservation of biodiversity: the Atlantic Forest and the Cerrado. Cattinga in the only biome exclusive from Brazil, tough other Cerrado-like savannahs are found in South America and the Atlnatic Forest, out from Brazil, is only found in North-East Argentina and East Paraguay. Map with the distribution of the six brazilian biomes. The Amazon basin area is the world’s largest forest and the most biodiverse biome in Brazil. It occupies almost 50% of the country and is seriously threatened due to the deforestation caused by logging industries and soybean crops. Currently it is estimated that 16% of the amazon rainforest is under anthropic pressure. Aerial view of the Amazon rainforest (Source: Commons Wikimedia). The origin of the Amazon diversity remains a mystery. Recent scientific studies explain that the rise of the Andes, which began at least 34 million years ago originated this biological richness. The Andes were formed by the collapse of the American tectonic plate under the Pacific oceanic plate. This geological process changed the wind regime in the area, affecting the rainfall patterns in the eastern side of the Andes. This also changed the Amazon River direction that before flew into the Pacific Ocean but due to this gemountain range rise was redirected to the Atlantic ocean. These geological and climatic phenomena originated the formation of a large area of wetlands in the eastern part of the Andes, causing the appearance of many new species. The Amazon is an enclosed tropical rain forest with a sandy soil, poor in nutrients. The undergrowth is nonexistent and organisms are distributed along the canopy. We found pantropical plant families like Fabaceae, Rubiaceae or Orchidaceae, and other of Amazonian origin; as Lecythidaceae (one of its most famous species is the Brazil nut tree, Bertholletia excelsa) or Vochysiaceae. Bertholletia excelsa, the Brazil nut producer, typical from the Amazon rainforest (Source: Flickr and Commons Wikimedia). Atlantic forest is a tropical forest covering the coastal region of Brazil and therefore it is characterized by humid winds coming from the sea and steep reliefs. It is composed of a variety of ecosystems because a high variety of altitudes, latitudes and therefore, climates ranging from semideciduous seasonal forests to open mountain fields and Araucaria’s forests in the south. Araucaria forest, ecoregion considered in the Atlantic forest domain in south Brazil (Source: Wikipedia). Although much more less known than the Amazon rainforest, the Atlantic forest has the largest diversity of angiosperms, pteridophytes and fungi in the country; with a very high level of endemism (50% of its species are exclusive) and is in a worst level of conservation. In fact until the arrival of the Europeans, it was the largest tropical forest worldwide. Today remains only 10% of its original length due to anthropogenic pressure. One of the first exploitation of this biome was the pau-brasil (Caesalpinia echinata), valued because of its wood and the red dye of its resin, that gave name to the country. Pau-Brasil was then followed by others human impacts as sugar cane and coffee cultivation and gold mining. But it was not until the twentieth century that the degradation of the environment worsened, given that the major economic and historical capitals like Sao Paulo, Rio de Janeiro and Salvador are within its domain. Typical landscape of the Atlanic rainforest (Source: Commons Wikimedia). However, we must be optimistic. The Atlantic Forest biome is the region with more conservation units in South America. It is the second largest biome of South American covering 22% of Brazil. It is considered the richest savannah in the world in terms of species number. It contains a high level of endemic species and it is considered one of the global hotspots in terms of biodiversity. Containing 11,627 species of plants (of which 40% are endemic) and 200 animal species, 137 of which are threatened to extinction. Cerrado is in interior areas of Brazil with two well marked seasons (rain and dry season). It includes different types of habitats such as campo sujo, campo limpo or cerradão. It is composed of small trees with deep roots and leaves with trichomes and an undergrowth composed of sedges and grasses. Cerrado soils are sandy and nutrient-poor with reddish colors featuring the high iron content. Typical landscape of the Cerrado (Source: pixabay). Vochysia and Qualea (Vochysiaceae) genera dominate the savannah landscape of the cerrado. Representatives of the Asteraceae, Fabaceae and Orchidaceae are the most frequent in terms of species number. It is in second position in terms of degradation in Brazil recent decades. The origin of this destruction is the development of the agricultural industry: approximately 40% of soybean crops (Brazil is the largest producer of soybeans in the world) and 70% of beef are produced in cerrado areas. Half of the cerrado biome has been destroyed in only the past 50 years. Despite this risk only 8% of its area is legally protected. Soybean monoculture inside the cerrado domain in Tocantins (Source: barres fotonatura). It is the only exclusively Brazilian biome and occupies 11% of the country. Its name comes from a native language of Brazil, the Tupi-Guarani and means white forest. However, this biome is the most undervalued and little known because of its aridity. The climate of the caatinga is semi arid and soils are stony. The vegetation is steppe and savannah like and is characterized by a great adaptation to aridity (xerophyte vegetation) often prickly. The caatinga trees lose their leaves during dry season, leaving a landscape full of whitish trunks. Typical landscape of the Caatinga (Source: Commons Wikimedia). Plant families predominating caatinga landscape are Cactaceae (Cereus, Melocactus or Pilosocereus genera are common), Bromeliaceae and Euphorbiaceae, but representatives from Asteraceae, Malvaceae and Poaceae can also been found. A typical native caatinga species is Juazeiro (Ziziphus joazeiro, Rhamnaceae). Melocactus sp. (Cactaceae), a very comon genus in the caatinga (Source: barres fotonatura). The caatinga conservation status is also critical. About 80% of the caatinga is already anthropizated. The main motive for this degradation is the food industry and mining. Pampa is a biome that occupies a single state in Brazil, Rio Grande do Sul covering only 2% of the country. Pampa biome is also very well represented in Uruguay and northern Argentina. It includes a large diversity of landscapes, ranging from plains, mountains and rocky outcrops, but the more typical are grass fields with hills and isolated trees nearby water courses. About 1,900 species of flowering plants have been catalogated in the Pampa, of which 450 are from the grass family (Poaceae) and 141 from Cyperaceae. Also Compositae (Asteraceae) and legumes (Fabaceae) species are frequent. In the areas of rocky outcrops we can found a large number of Cactaceae and Bromeliaceae. Typical landscape of Pampa biome (Source: Flickr). Regarding the fauna, there are up to 300 species of birds and 100 of mammals, with the emblematic species rhea, vicuña (South American camelids) or Cavia (rodents near the capybaras). The pampas region has a very typical cultural heritage, shared with the pampas inhabitants of Argentina and Uruguay and developed by gaucho people. The most developed economic activities are agriculture and livestock, which came along with Iberian colonization, displacing much of the native vegetation. According to estimates of habitat loss, in 2008 only 36% of the native vegetation remained . Only 3% of the pampa is protected under some form of conservation unit. Pantanal biome is a flooded forest steppe occupying the alluvial plain of the Paraguay River and its tributaries. It is therefore a wet plain which floods during the rainy season, from November to April. These floods favor a high biodiversity. It occupies only 1.75% of Brazil and is therefore the less extensive biome in the country. When floods occur, a lot of organic matter emerges, since water carries all traces of vegetation and decaying animals favoring soil fertilization. Grasses fields (Poaceae) configure the typical landscape in Pantanal. Not flooded areas are occupied by shrubs and even trees. About 2,000 different species of plants have been cataloged in Pantanal. Some of the more representative are palms (Arecaceae) and aquatic macrophytes (Lentibularaceae, Nymphaeaceae, Pontederiaceae). Victoria regia (Nymphaeaceae) in the pantanal from Mato Grosso state (Source: Flickr). Pantanal contains a high diversity of fishes (263 species), amphibians (41 species), reptiles (113 species), birds (650 species) and mammals (132 species), being the hyacinth macaw, the alligator or the black jaguar its most emblematic species. After the Amazon, it is the second most preserved biome in Brazil since 80% of its extension retains its native vegetation. However, human activity also has made a great impact, especially with farming activities. Fishing and cattle are the most developed economic activities in the Pantanal. Also the establishment of hydroelectric plants is threatening the ecological balance of the environment, because if the flooding regime is broken, wildlife will be affected. Guraim Neto, G. 1991. Plantas do Brasil, angiospermas do estado de Mato Grosso, Pantanal. Acta Botánica Brasileira 5: 25-47. Hoorn, C. et al. 2010. Amazonia through time: andean uplift, climate change, landscape evolution, and biodiversity. Science 330: 927. Martius, C.P.F. von. 1824. Tabula geographica Brasilie et terrarum adjacentium. Tabula geographica quinque provicias florae Brasiliensis illustrans. In: Martius, C.P.F. von ed. Flora Brasiliensis, Vol. 1, Part 1, Fasc. 21. Monacchi et Lipsiae. The Brazil Flora Group. 2015. Growing knowledge: an overview of seed plant diversity in Brazil. Rodriguésia 66: 1085-113. In this article we will talk about photosynthesis and about the first kinds of vegetal life. In the current systematic, the term plant fits primarily to terrestrial plants, while the term vegetal is an old term of Aristotelian connotation that refers to organisms with photosynthetic functions. But, as with everything, there are exceptions. Vegetals (vegetative soul): can perform nutrition and reproduction. Animals (sensitive soul): nutrition, reproduction, perception, movement and desire. Humans: can do all these things and also have the ability to reason. This simplistic way of perceiving the living world has lasted for a long time, but has varied due to different studies by several authors like Linnaeus or Whittaker, among others. A very current classification was proposed in 2012, The Revised Classification of Eukaryotes. J. Eukariot. Microbiol. 59 (5): 429-493; this one reveals a true tree of life. WHAT IS PHOTOSYNTHESIS? IS IT A UNIQUE PROCESS? Photosynthesis is a metabolic process that allows to use light energy to transform simple inorganic compounds into organic complexes. To do this, they need a number of photosynthetic pigments that capture these light rays and that through a series of chemical reactions allow to perform internal processes that give rise to organic compounds. This nutritious option has been developed by many organisms in multiple groups and branches of the tree of life of eukaryotes. And among them appears the Archaeplastida, the lineage of organisms that has led to land plants. Terrestrial plants (Embryophyta) are easily definable, but what about the algae? Usually, they are defined as eukaryotic organisms living primarily in the aquatic environment and with a relatively simple organization, but this is not always true. For this reason, all Archaeplastida groups falling outside the concept of land plants (a small group within Archaeplastida) are called “algae“. There are also photosynthetic prokaryotes into Eubacteria domain, and it is in these where photosynthesis is highly variable. While in eukaryotes is unique, oxygenic photosynthesis. The Eubacteria domain is very broad, and among its branches there are up to 5 large groups of photosynthetic organisms: Chloroflexi, Firmicutes, Chlorobi, Proteobacteria and Cyanobacteria. The latter are the only eubacterial performing an oxygenic photosynthesis; with release of oxygen from water molecules and using hydrogen from water as electron donor. The rest performs an anoxygenic photosynthesis: the electron donor is sulfur or hydrogen sulfide and, during this process, oxigen is never released, since water rarely intervenes; which is why they are known as purple sulfur bacteria. Photosynthesis is probably older than life itself. Oxygenic photosynthesis, which is tightly related to this group of bacteria, the cyanobacteria, probably occurs later. But it was crucial for the development of life on our planet, since transformed the atmosphere in a more oxygenated one and, due to this, life on Earth had become more diverse and has evolved. Cyanobacteria share pigments with terrestrial plants and other photosynthetic eukaryotes. These pigments are primarily chlorophylls a and b (the universal ones); c and d are only present in some groups. There are two more pigments that are univeral: carotenes, these ones act as antennas that transfer the captured energy to chlorophylls and also protect the reaction center against autoxidation, and phycobiliproteins (phycocyanin, phycoerythrin, etc. ), which appear in both cyanobacteria and other eukaryotic groups photosynthetic and are responsible for capturing light energy. But, why exist this variability of accessory pigments? because each pigment have a different absorption spectrum, and the fact to present different molecules allows to collect much better the wavelenght of sunlight; i.e., energy capture is much more efficient. On the other hand, the anoxygenic photosynthetic bacteria don’t present chlorophylls and, instead, have specific molecules of the prokaryotes, the bacteriochlorophylls. In the organisms with oxygenic photosynthesis, that is, in cyanobacteria and photosynthetic eukaryotes, pigments are located into complex structures. In cyanobacteria, there are various concentric flattened sacs called thylakoids in the peripheral cytoplasm, which are only surrounded by a membrane. And it is in the lumen of the thylakoid where pigments are located. In eukaryotes, however, we found chloroplasts, which are intracellular organelles full of thylakoids with at least two membranes and they are particular of photosynthetic eukaryotes. In these chloroplasts is where photosynthesis takes place. Both groups, therefore, perform oxygenic photosynthesis within the thylakoids; the difference is that in eukaryotes, the thylakoids are located into the chloroplasts. On the other hand, in organisms with anoxygenic photosynthesis there are different options. The purple bacteria contain pigments in chromatophores, a kind of vesicles in the center or periphery of the cell. In contrast, the green bacteria (Chlorobi and Chloroflexi) present several flattened vesicles at the periphery of the cell, on the plasma membrane, where bacteriochlorophyll are located. In Heliobacterium, the pigment is attached to the inner surface of the plasma membrane. They are generally not complex structures, and often this structures have simple membranes. The fossil evidence of the earliest photosynthetic organisms are the stromatolites (3.2 Ga ago). They are structures formed by overlapping thin layers of organisms together with their own calcium carbonate deposits. These occurs in shallow waters, in warm and well-lit seas. Although many seem straight columns, deviations are observed because they try to be oriented towards the sunlight to perform photosynthesis. In the past they had a crucial importance in building reefs-like formations and they also participated into the atmospheric composition changes. Currently, there are some which are still alive. Notes from the Environmental Biology degree (Universitat Autònoma de Barcelona) and the Master’s degree in Biodiversity (Universitat de Barcelona). Font Quer, P. (1953): Diccionario de Botánica. Editorial Labor, Barcelona. Izco, J., Barreno, E., Brugués, M., Costa, M., Devesa, J. A., Fernández, F., Gallardo, T., Llimona, X., Parada, C., Talavera, S. & Valdés, B. (2004) Botánica 2.ªEdición. McGraw-Hill, pp. 906. Willis, K.J. & McElwain, J.C. (2014) The Evolution of Plants (second edition). Oxford University Press, 424 pp. Daisies: they love me or love me not? Daisy flowers (Compositae or Asteraceae family) are one of the most complex and evolutionated flowers in the world. In this article, we’ll pick off all the petals from the daisy flowers to understand how this special organ works. THE ASTERACEAE OR COMPOSITAE: WHO ARE THEY? The Asteraceae family is the largest family of flowering plants and one of the most worldwide distributed. There are about 25,000 species distributed in 1,100 genera, representing 10% of all plant species currently on earth and they have a cosmopolitan distribution except the Antarctica. Many Asteraceae are used on our daily routine. For example there are members of this family in our diet, such as lettuce (Lactuca sativa), chicory or escarole (Cichorium endivia), artichoke (Cynara scolymus) and sunflower (Helianthus annus). Also many species are used in traditional medicine as chamomile (Chamomilla recutita), echinacea (Echinaceae purpurea), dandelion (Taraxacum officinale) or arnica (Arnica montana). They are also many Asteraceae species with horticultural importance, like daisies (Bellis perennis for example, but other species are called so), chrysanthemums (Leucanthemum sp. ), marigolds (Calendula sp.) or Dahlias (Dahlia sp.). Asteraceae species with different uses. A. Dahlia sp., b. Gira-sol (Helianthus annus), c. Arnica montana, d. Echinacea purpurea. The flower of the Asteraceae species is called capitula and is not a typical flower because it is formed by several flowers grouped together to form a single flower-like structure to attract pollinators. This cluster of flowers imitating a simple flower is called inflorescence. Most Asteraceae present more than one capitula per branch and the way they are organized is structured in a special order. We can found capitulum structured in corimbes or racemes, for example. This structure arranging inflorescences is called a synflorescence. Normally capitula contain two kinds of flowers: the ray or ligulate flowers and the disc flowers. All have five fused petals. Ray flower (A), disc flower (B) and schema of the flowers organization in a typical Asteraceae capitula (C), extracted from Greenish (1920). Ray flowers are usually female flowers, with two connate carpels in an inferior ovary. Their petals are zygomorphic (asymmetrical) and are characterised by the presence of a ligule, a part remembering the typical petal that we pluck off the daisy when playing the game. Disc flowers are usually hermaphrodites and have a less showy actinomorphic (symmetric) tubular corolla. Disc flowers are in the center of the capitulum looking like small buttons. The capitula described are the most common in Asteraceae, called heterogamous. The heterogamous capitula can be radiated, as the typical daisy or disciform when only have disc flowers, but the outermost flowers have a long filaments similars to ray flowers, such as in Centaurea sp. Heterogamous disciform capitula of Centaurea deusta in Croacia. The homogamous capitula have a single type of flower, always hermaphroditic. The discoid homogamous capitula have only disc flowers, like thistles. Discoid homogamous capitula of Cynara cardunculus. The ligulate homogamous capitula have only ray flowers, like chicory (Cichorium intybus). Ligulate homogamous capitula of Cichorium intybus. One of the most striking adaptations of the capitulum is that their flowers have different maturation times to avoid self-pollination. The flowers mature centripetally, from the outside in. That’s why we see the disk with o darker color on the inside. Capitulum of Pericallis echinata, a Canarian endemic, where we can see the diferent degrees of disc flowers maduration. The secondary pollen presentation is another capitulum adaptation, which is not exclusive from this family but a diagnostic character. The process makes that matured pollen is presented to the pollinators in a different structure from the anthers, the stigma of the pistil, in this case. The secondary pollen presentation occurs by a special adaptation of the anthers, that are fused (syngeneic stamens) forming a tube around the style. Thus, when the mature style is extended through this tube, pollen grains stick making pollen available to pollinators when the stigma reach the outside. This can actually happen because main Asteraceae flowers are proterandrous, i.e. the stamens mature before the style. Secondary pollen presentation schema (Funk et al., 2009). This capitulum basic structure has many variations creating many different capitula types. Although most species of Asteraceae are monoecious (we can found hermaphroditic flowers in the same individual) there are dioecious genus, like Baccharis, a genus from tropical South America, which have male and female individuals separately. Female (left) and male (right) individuals of the dioecious Baccharis sp. Very rarely, capitula have only a single flower, as in the case of Echinops, where single flowers are grouped in spherical capitula of second order. Solitary flowers clustered in a second order capitulum of Echinops ritro. There are another examples of secondary order capitulum, like the famous Edelweiss flower (Leontopodium alpinum). The edelweis flower is particularly interesting because it has densely hairy bracts (with many trichomes) around its discoid capitula acting as white “false” petals and reflecting the high radiation of the high mountains where they live. Seconsary order capitula of edelweiss (Leontopodium alpinum). Rarely, capitulum are found alone at the stems apex, not forming synflorescences. This is the case of sunflowers (Helianthus annuus) or Wunderlichia, one of the smallest genus of Asteraceae with six endemic species from Brazil with a really awkward look because of its tomentous indumentum and the lack of leaves when bloom. Solitary capitulum of Wunderlichia mirabilis in Brazil. Capitulum pollination is usually made by insects, especially butterflies, which are attracted by the petals color and the nectar, their sweet reward. The fruit, which is called achene or cypsela in Asteraceae, is formed once the flowers have been fertilized. The cypselae are easy to recognize because many have appendices that look like bristles, awns or scales called pappus acting in wind dispersal. Diversity of cypselae and pappus found in Asteraceae (Funk et al., 2005). Now, we can maybe better understand why we can pluck a daisy striping a petals, each from a unique ray flower in the capitulum or why do we blow out so many seeds when we make a wish on a single dandelion flower. Font Quer P (1953). Diccionario de Botánica. Ed. Labor. Funk VA, Bayer RJ, Keeley S, Chan R, Watson L, Emeinholzer B, Schilling E, Panero JL., Baldwin BG, Garcia-Jacas N, Susanna A & Jansen RK (2005). Everywhere but antarctica: using a supertree to understand the diversity and distribution of the Compositae. Biologiske skrifter 55: 343-374. Funk VA, Susanna A, Stuessy TF & Bayer RJ (2009). Systematics, evolution, and biogeography of Compositae. International association for plant taxonomy, Vienna, Austria. Kadereit JW & Jeffrey C. (2007). The families and genera of vascular plants, vol. 8, Flowering Plants. Eudicots. Asterales. Springer, Berlin. All cultures around the world have based their diet and culture in plants of their environment. So, each people way of cooking, dressing, building our house, healing or making instruments to create music is related to raw materials available: the plants of our landscape. If you like this article and think our blog is interesting, you can vote for us for Weblogs Awards 2015 as the best blog of Education and Science. Just click on the following image, check that our blog’s URL appears on the category “Educación y Ciencia” (if not, you can write https://allyouneedisbiology.wordpress.com) and click the button “Votar” (Vote). It’s just a minute and we will thank you so much! Please comment if you have any doubt! Ethnobotany is the science that studies the cultural uses of vegetation over time and in this post I want to talk about a cultural use of plants spread around the cultures of the world: the production of alcoholic beverages through the process of fermentation and/or distillation of plants sweet juice. BUT WHAT EXACTLY ARE THESE TWO PROCESSES AND WHY THE DIFFERENCE? The fermentation process is done by the yeast metabolism that produces energy from sugars. This is the way how these living beings produce their own energy in an anoxygenic environment; for this is called anaerobic metabolism. Other waste products of fermentation are carbon dioxide (CO2); that’s why we found gas in beers, for example, and of course, alcohol. The fermentation has been used to preserve and enhance the flavors of a variety of foods throughout history, such as bread, yogurt, tofu, soy sauce or cheese (which have lost their alcohol). 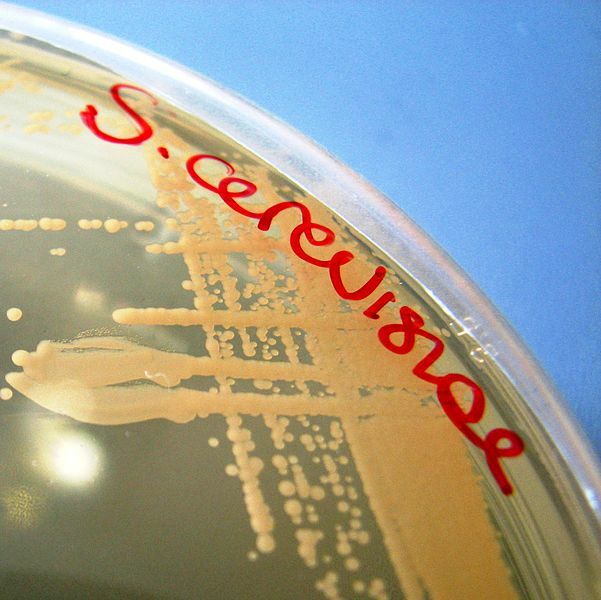 The main responsible of this type of fermentation in the food industry is Saccharomyces cerevisae, although there are other yeast species and genera able to perform the alcoholic fermentation giving foods its distinctive taste. The alcoholic distillation process is really distinct from fermentation. Distillation is a chemical process that separates the components of a liquid mixture by a heat source. The different components of a solution are separated in an alembic through evaporation and condensation according to their volatility. In the case of alcoholic beverages, distilled spirits are produced to obtain drinks with more alcohol, from juice of the fermented grain or fruit. For example, the brandy is distilled wine. So I invite you to take a journey through the world of spirits under this classification… All the continents have come to produce alcohol by this process? What do you think? Among the beverages produced by alcohcolic fermentation in the Mediterranean, the wine is the most famous. Wine is a product of the fermentation of grape juice. The grapes come from vine (Vitis vinifera); a shrub native to the Caucasus and the Middle East that has also been used as a shade plant because it is a plant that climbs easily. There are over 10,000 varieties of grapes used to produce a wide range of wines. The wine art has been exported to other countries around the world with a Mediterranean climate, and therefore which can easily grow grapes, such as California, Chile, South Africa and Australia. The alcohol content of wine ranges from 10º to 14º. To produce cava or champagne the sugars left in the wine bottle undergo a second fermentation (brut nature champagne). 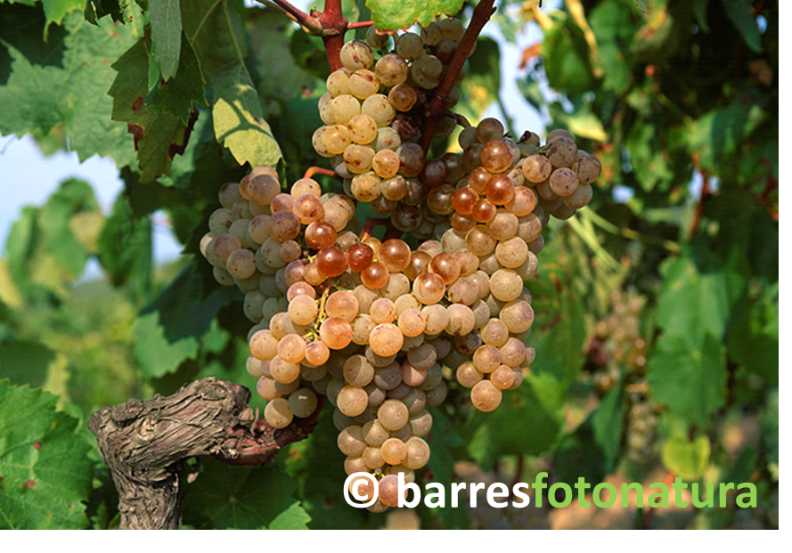 If sugars not coming from grapes are added to trigger this process then we are talking about brut or extra brut champagne. Then, yeast will begin the alcoholic fermentation again, producing dioxide carbonide and thus generating this drink typical bubbles. 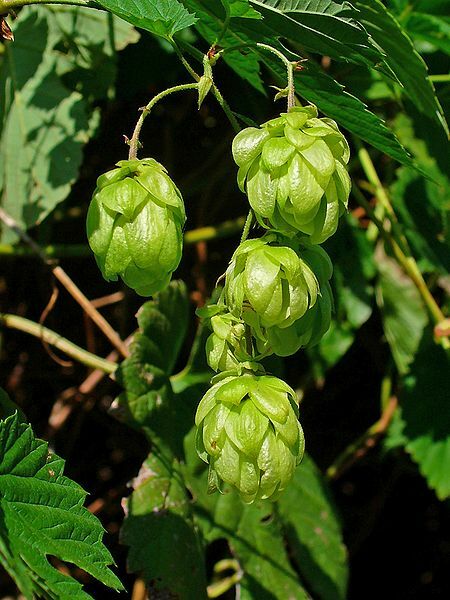 Another highly consumed beverage worldwide resulting from the metabolism of the yeast is beer, which is produced from the fermentation of barley (Hordeum vulgare) and finally adding hops (Humulus lupulus), which provides bitterness. The beer can be drunk hot or cold and its alcohol content varies from 2.5º to 11º. Currently, many different brands of beer mix different cereals in their fabrication (such as maize and rice) but do not be deceived, the original is made just with barley! If we travel a little more further, exotic flavors of the east can also get drunk. 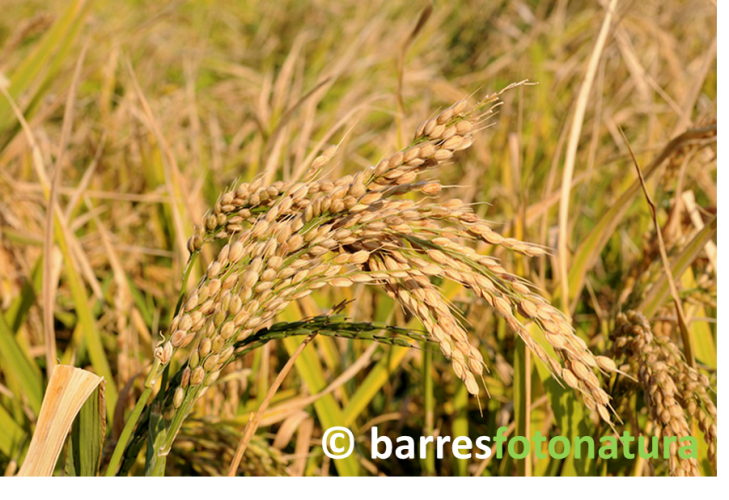 Japan came to produce alcohol from rice (Oryza sativa), the most consumed cereal in Asia. It’s sake, an alcoholic beverage from 14º to 20º degrees that you can also drink hot or cold. In Mexico we can also found a fermented drink that comes from a native plant. It is the mescal, obtained from Agave tequilana a native agave in Mexico. In this case the juice that originates the drink doesn’t come from the fruit, but from the base of its succulent leaves (called piña) containing a high concentration of sugars. The mescal is one of the alcoholic beverages with more alcohol (55º). 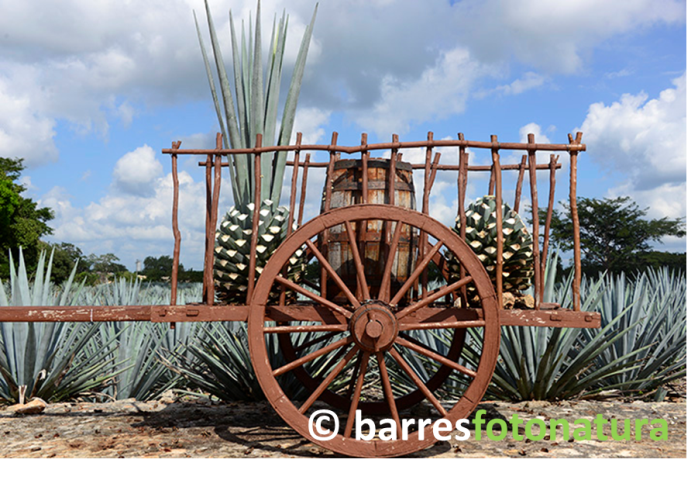 The process of distillation of the mescal produces the popular tequila, which has an alcohol content of 37º to 45º. The fermentation of the agave to make pulque or mescal was already known by the Mexica but the distillation process did not occur until the arrival of the Spanish colonizers and its alembics in the S. XVI. 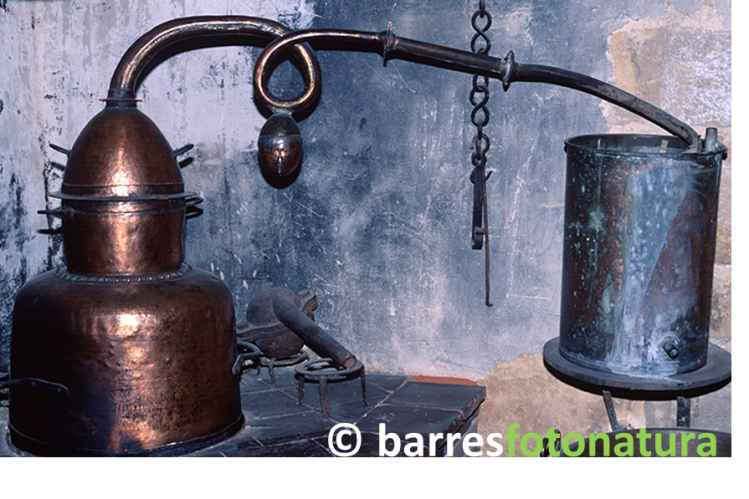 Going back to the Old World, in the cold and continental lands of Europe, people have also arrived to ​​distillate the fermented juice of some plant found in the environment to produce an alcoholic beverage. In this case, I’m talking about vodka, a distillate of wheat (Tricticum sativum) or rye (Secale cereale) that can also be made from potato (Solanum tuberosum), one of the easiest and cheapest crop in cold. The graduation is quite high, up to 45 degrees. 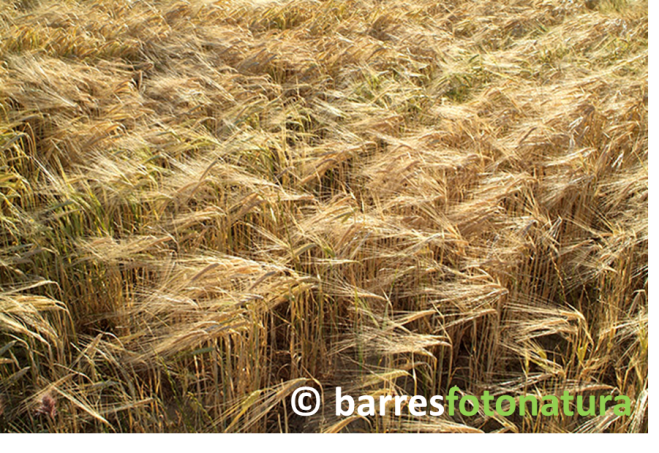 Moreover the islands of Ireland and Scotland, came to distill the juice of barley (Hordeum vulgare), to produce whiskey; with more than 40º. In the Caribbean and especially Cuba, there is a distillate with a completely different origin, rum, obtained from sugar cane (Saccharum officinarum). The history of this drink involves invasions, slavery and has no relationship with native plants, but rather with colonial history. Sugar cane is a plant of the family Poaceae (grasses) native to New Guinea and India. It was exported to the Caribbean islands by Spanish colonists in the sixteenth century because its cultivation in tropical climates allowed high performance. Its production was only supported by the exploitation of Africans slaves. The rum has37º to 43º alcohol degrees. The Brazilian version of the rum is cachaça, obtained from the same process as rum. We have travelled to America, Europe and Asia through its fermented alcoholic culture…Somebody knows the same culture in Africa or Oceania? Herbert Howell C & Raven PH (2009). Flora mirabilis. How have shaped world knowledge, health, welth and beauty. National Geographic and Missouri Botanical Garden. Hough SJ (2001). Biotecnología de la cerveza y de la malta. Acribia, Zaragoza. Parthasarathy N (1948). 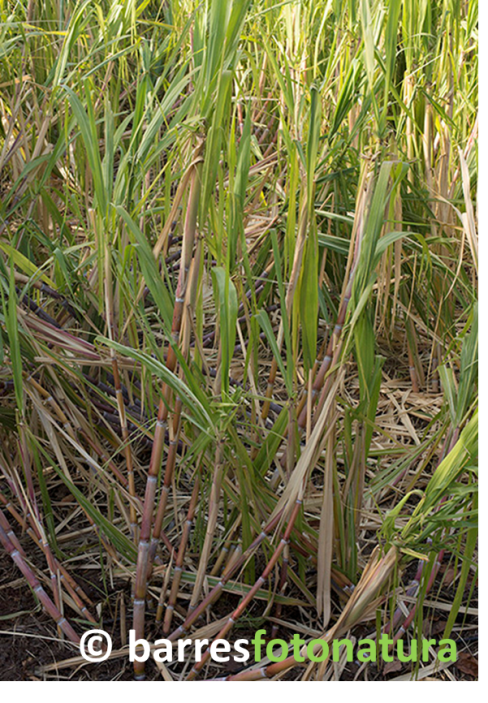 Origin of Noble Sugar-Canes (Saccharum officinarum). Nature 161: 608-608. Robinson J, Harding J, Vouillamoz J (2012). Wine Grapes – A complete guide to 1,368 vine varieties, including their origins and flavours. Allen Lane, UK.